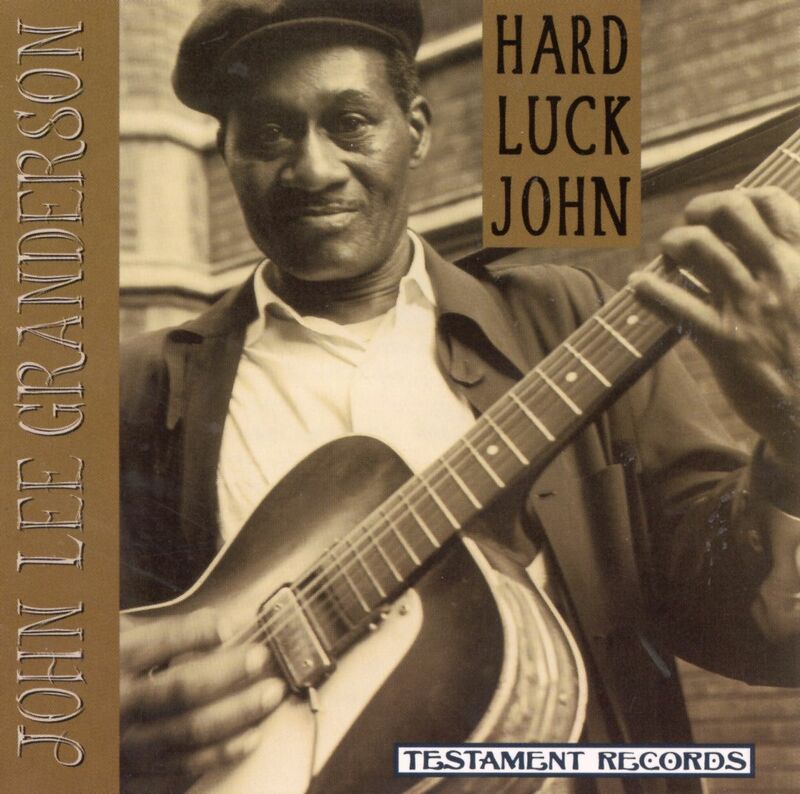 John Lee Granderson (11 April 1913, Ellendale, Tennessee, - 22 August 1979, Chicago, Illinois, was a blues guitarist and singer. Granderson’s style was established in west Tennessee blues before World War II. He learned to play the guitar when he was nine years old. Although not a professional musician, he played mostly in the Memphis area with Sleepy John Estes, Hammie Nixon, and others. He left his parents around 1927, making his way north to Chicago in 1928. For many years he worked as a junkman, auto mechanic and custodian. 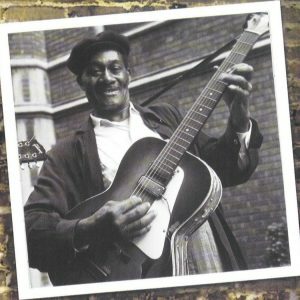 He performed around Chicago frequently, sometimes with John Lee “Sonny Boy” Williamson in the 30’s and 40’s. 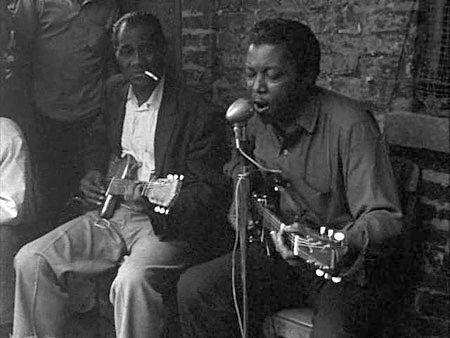 1940s-1960s: John Lee Granderson, Avery Brady and Arvella Gray all performed on Maxwell Street. 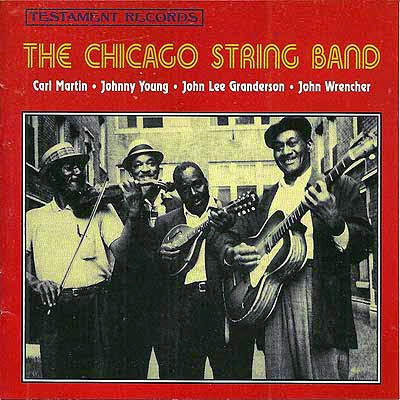 He recorded for Testament in 1962 – 1966 by himself and as part of the Chicago String band (with Johnny Young, Big John Wrencher and Carl Martin). Additional recordings were made for Adelphi. Others that Granderson played with were Robert Nighthawk, Big Joe Williams, and Daddy Stovepipe. He was most active in the 1960s. Granderson sang and played guitar close to the style of the Memphis musicians of his youth . For the most part he ceased performing publicly in 1975, but he continued composing lyrics until his death. He suffered a stroke in February 1979 and he died that August of pancreatic cancer in Chicago, IL 1979, at the age of 66. All tracks recorded in Chicago, Illinois. Tracks 1, 7, 12, and 16 recorded circa 1964. Track 4 and 8 recorded April 4, 1964. Tracks 2, 3, 9, and 11 recorded May 2, 1966. Track 10 recorded July 24, 1963. Track 14 recorded June 18, 1966. Track 5 recorded September 30, 1962. Track 6 recorded October 21, 1962. Tracks 13 and 15 recorded circa mid-1960s. A big thank you to Gyro1966 @ twilightzone-rideyourpony.blogspot.co.uk for above active link. Hello :) could you please re up Hard luck John ? thanks!